This bench was built for outdoor use. 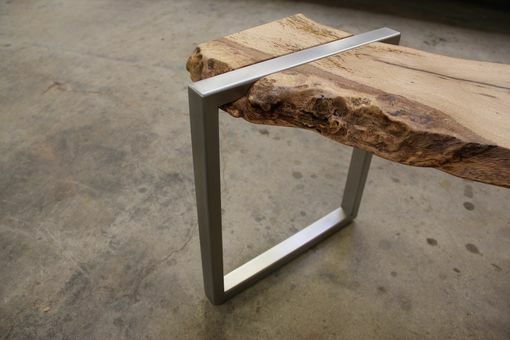 It could be placed in a garden or on a patio or even poolside. 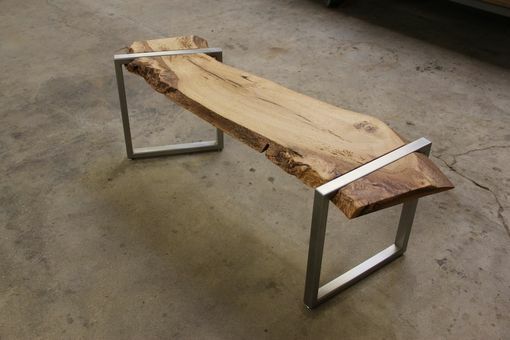 It would also function just fine indoors as a coffee table. This piece features a Live Oak slab for its top, which is known for its exceptional strength. 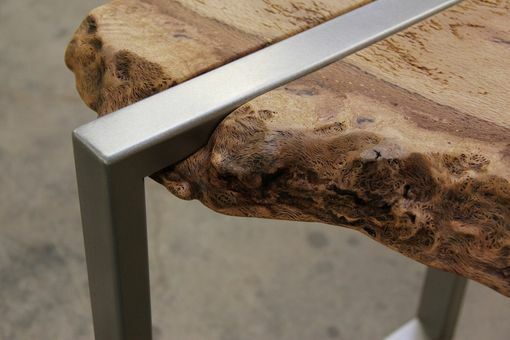 The live edge and burl contrast nicely with the stainless steel legs to compliment it's design. 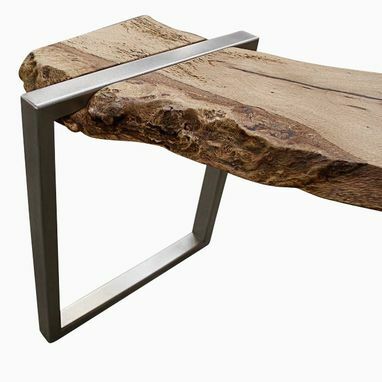 The oak has an outdoor oil finish while the legs are unfinished as stainless steel is inherently weather-proof.